Dr. Chica has been pushing the boundaries of protein engineering through his pioneering work in computational protein design. Dr. Roberto Chica received his B.Sc. in biochemistry from the Université de Montréal in 2001 and his Ph.D. from the same institution in 2007 under the mentorship of Drs. Joelle N. Pelletier and Jeffrey W. Keillor. After working at Caltech as postdoctoral fellow with Dr. Stephen L. Mayo, he joined the Department of Chemistry of the University of Ottawa in 2010, where is now an associate professor. In 2018, he was a visiting scholar at the Department of Bioengineering and Therapeutic Science, UCSF. Dr. Chica is developing an innovative research program in protein engineering and computational design and is emerging as a leader in this field. 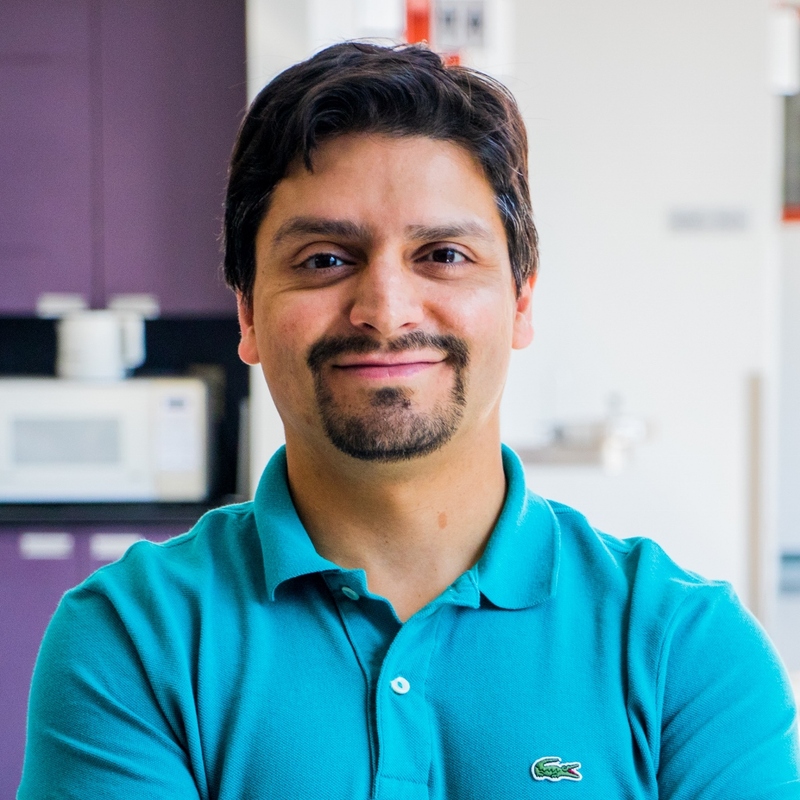 Since establishing his independent research program in 2010, Dr. Chica has been pushing the boundaries of protein engineering through his pioneering work in the incorporation of multistate approaches into computational protein design (CPD). These methods allow proteins to be modeled, not as a single structure as is traditionally done, but as structural ensembles that more realistically represent the range of conformations accessed within their energy landscapes. Dr. Chica also set a new standard in the discipline by being the first to rationally design protein dynamics. His contributions have been commended by F1000 for “pushing the frontiers of CPD with respect to designing functionally diverse proteins”. These methods have entered into the mainstream of the protein engineering community, having been incorporated into the commercial-grade CPD platforms Triad and Rosetta. Dr. Chica has also emerged as a leading figure in the protein engineering community. For example, he created the biennial Protein Engineering Canada (PEC) Conference (now in its 3rd edition), and is currently building a multi-institutional training program for the protein engineers of the future (funded by NSERC CREATE).